Do you want to preserve your family’s history and the genealogy research that you have already done? 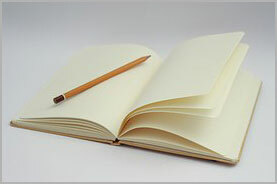 Making a family history book can be fun as write down all that you have discovered about your ancestors. How should you lay out your book and what do you need? Read on as I will explain it all to you! When should you write a family history book? 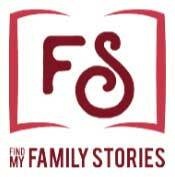 There is no better time than now to write your very own family history book. It doesn’t matter if you have just begun to research your ancestry. The important thing is that you make a start! Doing so will help you put your ancestor’s life in order and discover what you need to research next. You will develop a logical mind where you will be able to join the dots and make reasonable conclusions as to what you will discover during your research. I know because that’s what my research did for me! Well, then you will when you start to trace your family tree. Before I do discuss how you should layout your book I will first tell you my story on how my very own family history book was created. Hopefully you will get the inspiration that you need to start your own book. Writing your own book can be a very laborious task at times. So, you need to remind yourself why you are doing it and who it will be for. The reason that I wrote my family history book is that if I hadn’t then my father’s stories would have been lost forever. My book is something special that can be passed on to my two girls and then some day to their children. It is a priceless account of my family’s origin and I am very proud of what I have created. What Software and Resources Will You Need? If you wish to write your very own family history book on your computer then this post is for you. I will discuss how you should layout your book and how you can cheaply print it out and get it bound. You do not have to implement all of the ideas that I will explain in this post. Please just use it as a guide. I feel that everyone’s needs are different. So, what you feel is appropriate for your book others may not think so. In this post I will refer to the readers of your book. These could be members of your family or the outside world, (if you wish to publish your book). My Family History Book Project! 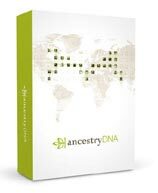 I have discussed numerous times on this site how I got into genealogy and how I created my own family history book. I feel that this is a great place to reiterate my story so that you can get inspiration to write your very own book. When I first wrote my book I had no clear design in mind. I didn’t even have a layout planned. All I was going to do was type up what stories and anecdotes my father wrote in a little green notebook. That plan was simple, at least that was what I had thought to begin with. As I started to write my family’s stories I felt that I could do so much more with it. Little did I think though how it would grow in time. I got plenty of ideas from Google of what to include and how I should structure my book. Reworded the stories so that they flowed more easily. Added background details that some readers may not be familiar with, i.e. how did a particular war begin. Added charts to show relationship between the author and relatives. Added photographs so that readers could put a face to the stories. Added maps to plot the traveling, migration and immigration of my ancestors. Added newspaper articles that featured my ancestors. Put in pictures of family heirlooms. I have digressed somewhat so let’s get on with the layout for your family history book! When it comes to genealogy research there are a number of software packages that you will need to purchase. Like any other hobby you will need to spend some money in order to get the most out of it. I used Microsoft Word to write my book. I have been using this program for years and years and so it was only natural to use it to write my book. There are other programs that you can use but for me Word is the best. 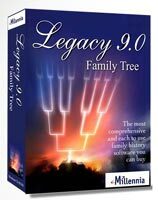 This software will help you to create and build your family tree. It is an essential part of genealogy research. Using a program will make your project a lot easier as you add ‘new‘ branches and people to your tree. You can also use it to create reports, charts and maps that can be put into your family history book. This can help you to trim pictures or maybe fix up photographs that you have scanned into your computer. Adding pictures to your book can really bring it to your life and so software such as this is a good idea to use. My software of choice is Adobe PhotoShop, as again I have been using this for years and years. Other choices available to you include GIMP, Pixlr, Serif Photoplus and Photoscape. Pretty obvious I know but I thought that I would include it here so that you have an idea as to everything that you will need for your project. The Jumbl All-In-One or the Epson Perfection V600 are two excellent scanners that I recommend for scanning your old family photographs. Finally, let’s not forget the paper for printing out your book. Every book should have a cover, it goes without saying. But what do you need to include and how should you lay it out? What to add to the cover? This will give the reader an idea of what the book is about and what they can expect from the book. You may also wish to add a subtitle to your book. Adding pictures can bring a sense of charm to the book. In my opinion you at least want to make it look attractive to draw the reader in. Like me you may just decide to put in a picture of a tree. Go on it is your book so why not put your name on it! As for a title page, (the page following the cover page), it is optional whether you want to put it in or not. The title page will have the same details as what you have included for the cover page, except for your picture(s). For me I didn’t include a title page as such. I added an inspirational quote followed by a picture of a tree. This I felt help inspire the reader to carry on with the book and see what it was all about. When our hearts turn to our ancestors, something changes inside us. We feel part of something greater than ourselves. Our inborn yearnings for family connections are fulfilled when we are linked to our ancestors. Russell M. Nelson. A publishing page is quite optional and as the name suggests this page is only included if you wish to get your book published some day. No part of this book may be copied, reproduced, translated or transferred to any electronic medium without the prior consent of the author. Note: I did not publish my book as I wanted to keep it within my family. Some of the stories included were quite personal and I did not want to share them with the outside world. Also, please make sure that you do not have any material in your book that you have obtained by a third-party, i.e. maps. You will first need to get consent from them before you can include it in your book. A contents page is fairly optional but I feel that you should add one as it gives the reader an opportunity to see what is included in the book at a glance. And they can easily go to the chapter on the relative that interests them. The contents page will show the order of your chapters and clearly show how your family tree is broken up and how you have laid out your book. Giving page numbers will also help as they can easily flick to the page that is relevant to them. Note: You do not have to include chapter numbers if you do not wish to. Again this is another optional component of your book. I do feel strongly though that you should add one as it can further help get your message across as to what your book is about. This will just be a short summary, one or two pages at most. You can explain to your readers your family history journey and how the book that they are holding came to be. Maybe say how long it took to write the book, give compliments to the people who helped you and where you got your information from. This page is also an opportunity for you to tell your readers that maybe your genealogy research is still on-going. You may have hit a brick wall, or two, so why not just mention this? Ah yes, the meat of the book! This is your story, this is your family’s story. But what do you include in here? Well, again this is quite up to you. I will say though that the more the merrier. But do not go overboard. Don’t overfill the book with info! You do not want to overwhelm the reader with information, records, certificates and countless photographs. This in essence is a summary of what you have found during your research. You want to tell your ancestors stories! There is so much more that you can discuss about your ancestors, but these topics will help you on your way. Put your ancestors life in order! The important thing to note here is to put your ancestor’s life in chronological order. Trust me it will make your research a lot easier. And it will help to prevent you from giving up on this personal project. When I first started to write up the stories that my father jotted down in his notebook they were all over the place. The stories came from different branches of the family and covered different times in my ancestors lives. So, while I was writing I knew that I would have to order the chaos in order to make my book more readable. One of the benefits of doing this is that when you write about your ancestor’s life from beginning to end you can then see what’s missing. For example, do you know where they went to school? Have you missed that bit out? Well, then that’s something that you can research. This is again another section of the book that you may or may not wish to add to your book. This section though can be used to support the information that you have discussed within the main part of your book. Anything else that supports your research. I included an appendix of information where I deemed the information too boring to include into the main part of the book. This information was really a reference tool for me. This section contained tables where the residence, (in chronological order), of each ancestor were listed. The year that they lived at each residence followed by the source was also included. Similar to the previous section I included a Grave Index that provided the inscription of the gravestone, the church name, plot number and a brief description of how to find the grave within the church. As I researched my ancestry I came across living cousins who made contact with me. I thought that it would be a great reference for me to include a handy and quick to access chart where I can see the relationship between them and me. You may wish to take my appendix ideas and add them to. Please be my guest. And if you do have any ideas of your own then I would love to hear from you, just comment below. I do plan on creating a second edition for my book in the future and I am always looking for ideas of how to improve on it. A contents page is a great addition to a family history book and the same can be said for the index. This section of the book will help you to find where in the book a certain ancestor of yours is located within the book. For example, if you want to know the ‘incident‘ with Uncle Fred then you know to turn to page 23. If you are planning on passing this book down to your family, (and I believe you most surely will be), then it is quite useful to include a notes section at the end of the book. This section can be used for your or other family members to jot down anything that needs further research. This section will just be a few blank pages, (the amount is up to you). As I was writing my book at home it was therefore easier for me to create an A4 book. It was a no-brainer. Once I had finished writing my book it was time to print it out. For my paper I decided on acid-free 300gsm, (standard printing paper is 100gsm thick). It will make your book look professional and it will stand the test of time as it gets passed down the generations. Do make sure though that you are happy with your book before you print on this higher quality paper. If you are not able to print at home then you can take it to your local stationary shop. Before you visit the store make sure whether you are able to do this and what file types that they accept. Convert your book to a PDF! You may possibly need to convert your Word document to a PDF file. This is especially true if you are sending your work to a publishing or binding company. Converting your book to a PDF is also a good idea as you email it to your family. Any modern day computer should accept this file type. To convert your file EASILY online my recommended go-to site is PDFConverter. It is a quick and free process. Just upload your file and click on Convert. Depending on the file size this may take a few minutes. Once it is ready you just download it. Your local stationary store may offer you a choice between ring binding or paperback binding. For me I chose the paperback option. It makes my book look far more professional. The price of the binding will vary on the amount of pages in your book. At my local store it was a couple of dollars for 200+ pages. So, it was surprisingly very cheap. You can add a front and back cover for an additional charge, about a dollar or so. You may decide that a clear front page works best for you where your cover page can be seen. Right now you have got a pretty good idea as to what will be included into your family history book. I have given plenty of advice on how to structure your book and what you can include in it, (if you wish). When you start a chapter it is preferred to start it on the right side. This is what you expect from a book off the shelf so why not yours? Your book will obviously need ‘comfortable’ margins. You do not want to have the text of your book right up to the edge. When you bind your book you will not be able to clearly read it. Keeping to the default settings of your publishing program should be adequate. This can be added if you wish. They can further explain any point that you are making. You do not want your book to be a mish-mash of bits and pieces. Try to make the look and the contents consistent. This will help make the book more readable. I have included into my book three large A3 charts, (which then become pull-outs). I created the charts on my home computer and then went to my local library to print it out. You may decide to print them out at your stationary shop. These charts can then be inserted into your book. Add captions to your included photographs, maps, or pictures of family heirlooms. It will help your readers enjoy the book more. Get someone to proofread your book. You will not be able to find all the inaccuracies when you are writing your book. Trust me. One, or more, family members is a good idea to hire for this phase of your project. Get them to check everything, from spelling, grammar and what pictures, etc you have put into your book. Aim for perfection by all means but be prepared that your final draft will not be perfect. Errors may creep in. If you were to create a perfect book then I’m sorry to say but your project may take far longer than you initially expected. Also, there are so many branches, family members and even information out there to include in your book. Creating more books is therefore an option. Any tips that you feel that I could include here? Just comment below and I will add it to the list. I have covered many topics in this post to help you make your very own family history book. All of the tips and techniques that I have included here are what I have learned as my book developed. As I learned more about making a book the more that it benefited. I learned how to include photographs, caption them as well, add a contents page to make it easier to check things, add an appendix for the ‘boring’ stuff, and so on. Each and everyone’s book will be different. Remember just take what advice that I have given here and make your book your own. Go on, create something that not only will you cherish but your descendants will to come. How To Make A Family History Book – Part 2 – Discusses what documents and records to use, what stories to include, organizing your research, and more. I hope you enjoyed this guide to making a family history book. If you have any questions or comments then please leave a comment below. This a fantastic idea Owain. My grandmother is turning 80 in December and I think this will be a great idea to get the whole family involved. I was fortunate to not only have lived during the lifetime of all my grandparents but also 4 of my great grandparents as well as great uncles and aunts. This will be a really great exercise. Thanks for sharing this post and giving a very detailed guideline on how to make a family history book. You can learn so much from your grandmother. If I may suggest you check out my Top 20 Family History Interview Questions. It can give you ideas about how To Conduct an interview and what to ask her as well. You sound like you have so many stories that you yourself can share with your children and then someday descendants as well. A book is a great way to keep those stories and memories alive. I really appreciate the detail you have put into this article Owain. Just last week I was discussing writing our family tree/structure with my wife so we can pass it down to our kids. We’ve use some of the resources on your site and they have been extremely valuable tools on our genealogy journey. You’ve sparked so many more ideas on how to present this information and I’m very excited. We were also trying to get my sister and brother in law to join in. Is there any cloud based software or sharing software where we can collaborate together? Thanks for the kind words Vince and thank you for saying that mysite has been valuable to you and your family. It means a lot to me. There are so many areas of research that you can conduct to trace your family tree. I intend to discuss every single one of them. But as you can expect it will take me a while to get through them all, lol. As for cloud based software I would suggest a free option for you. You could try Google Drive to store your information and share it with your family as well. I am inspired by your articles and I actually started talking with family members about preserving our family history. We have a family tree of family members that we know, and have heard about. Now through your website, we are encouraged to do further research to add to for our family tree, and hopefully end up with a book. I am glad that my articles inspire you. Making a family history book can lead you onto further areas of research that you may not have thought about before, it certainly did for me. Like yourself I’m sure that when you first started to trace your family tree you did not know everything about genealogy. The joy of making a book is that you will learn more about your family and also the hobby as a whole. I wish you all the best with your genealogy research. Check out my site for everything that you will need on your journey of discovery.